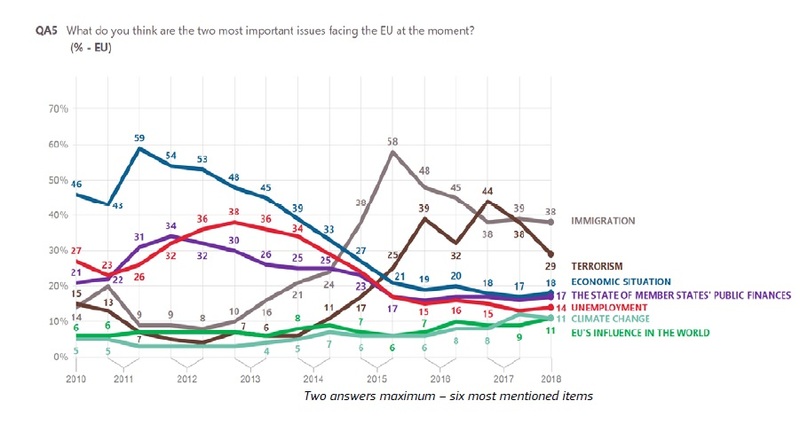 Immigration remains the leading concern at EU level, with 38% of mentions (-1 percentage point since autumn 2017). At 29%, terrorism remains in second position, though it has lost ground since autumn 2017 (-9, and -15 since spring 2017). The economic issues lag behind, even though they have registered slight increases since autumn 2017: the economic situation is in third place (18%, +1), ahead of the state of Member States’ public finances in fourth (17%, +1) and unemployment in fifth (14%, +1). 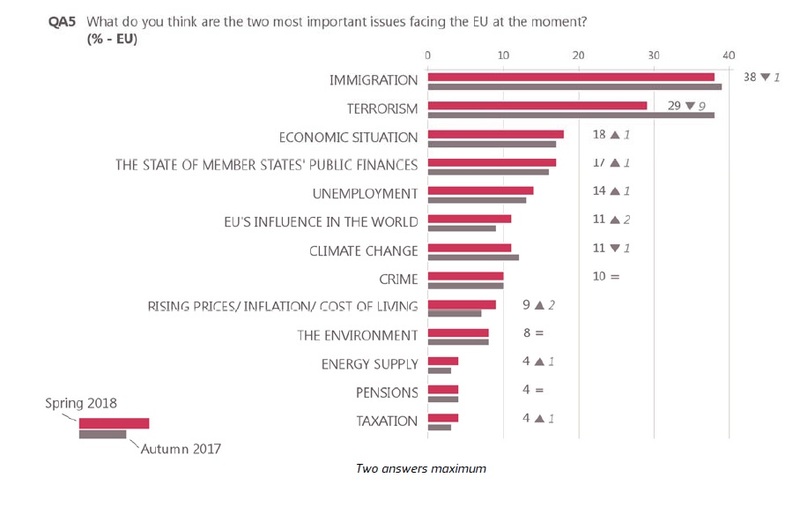 The hierarchy of these top five concerns has remained unchanged since autumn 2017. 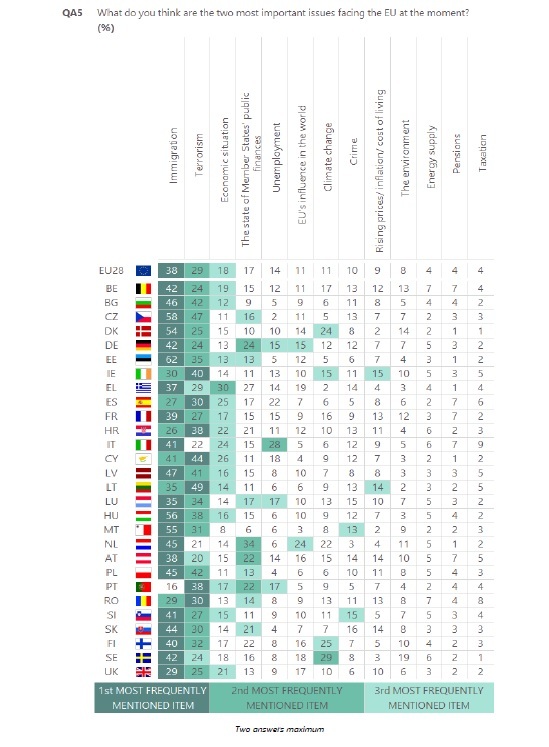 The EU’s influence in the world (11%, +2) shares sixth place with climate change (11%, -1), which has a double-digit score for the second consecutive time. Other items are mentioned by no more than 10% of respondents: crime (10%, unchanged), rising prices/inflation/cost of living (9%, +2), the environment (8%, unchanged), energy supply (4%, +1), pensions (4%, =), and taxation (4%, +1).